Seafood fans, take heed: there's a new spot in town to get your fix. The new addition, called Lost Pier Cafe, is located at 31131 S. Coast Highway, just steps away from the surf of Laguna Beach. 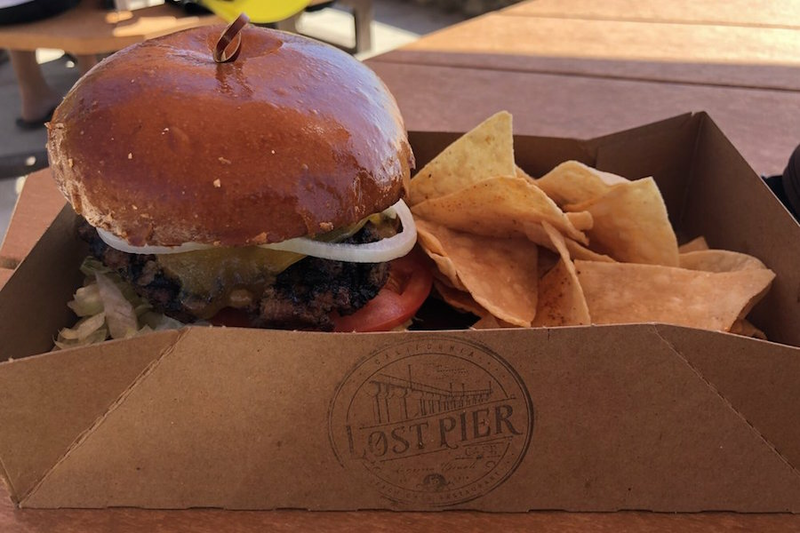 Named after the landmark pier crushed by El Nino storms during the 1980s, the Lost Pier now serves hungry customers in lieu of devout fisherman, with offerings like ahi poke, lobster rolls and fish tacos. The fresh arrival has proven popular thus far, with a 4.5-star rating out of three reviews on Yelp. DeAnn O., who reviewed the cafe on Sept. 19, wrote, "Plan on sharing a burger because they are huge. Excellent fries and the California burrito is amazing!" "Yesterday, I tried the ceviche and it was a treat," shared Yelper Dwayne L. "Perfect tanginess to the dish, with pickled onions and veggies. Refreshing treat during the day at the beach." Intrigued? Stop in to try it for yourself. Lost Pier Cafe is open from 8 a.m.-3 p.m. daily.